Me and my fellow 7 Ton Letterpress Collective members took at trip from Asheville to Knoxville yesterday to lend eight hands to our friends at Yee-Haw Industries. 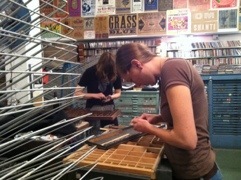 The shop, a mainstay of southern letterpress amazingness, is scheduled to close its doors at the end of the month. Twas a bittersweet field trip. We’ll miss you Yee-Haw! Whoa. It’s been a wild few months… collaborations, commissions and an impending union… I haven’t had a second to share! 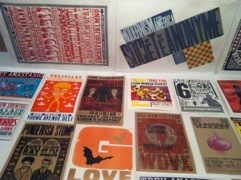 So… in the spirit of the season, here are a few images of recent commissioned printing jobs! 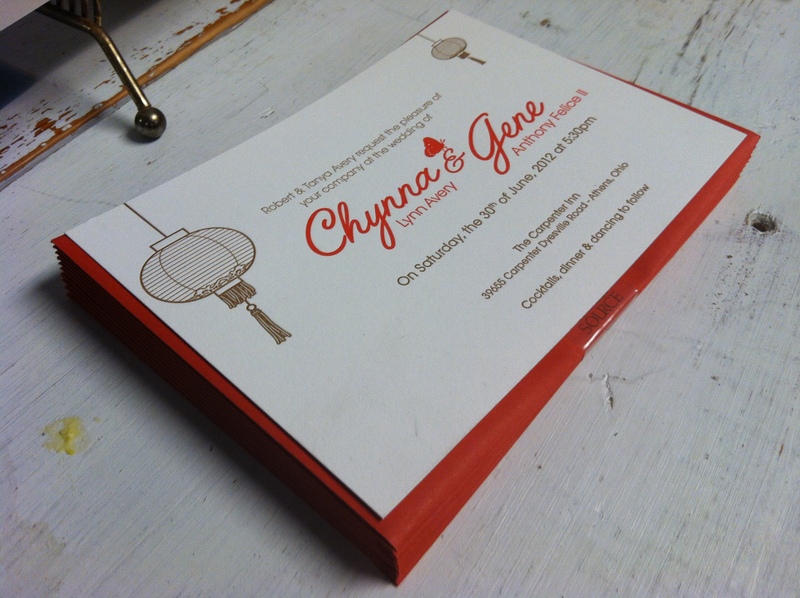 A wedding suite for Chynna and Gene. The groom designed these beauties! 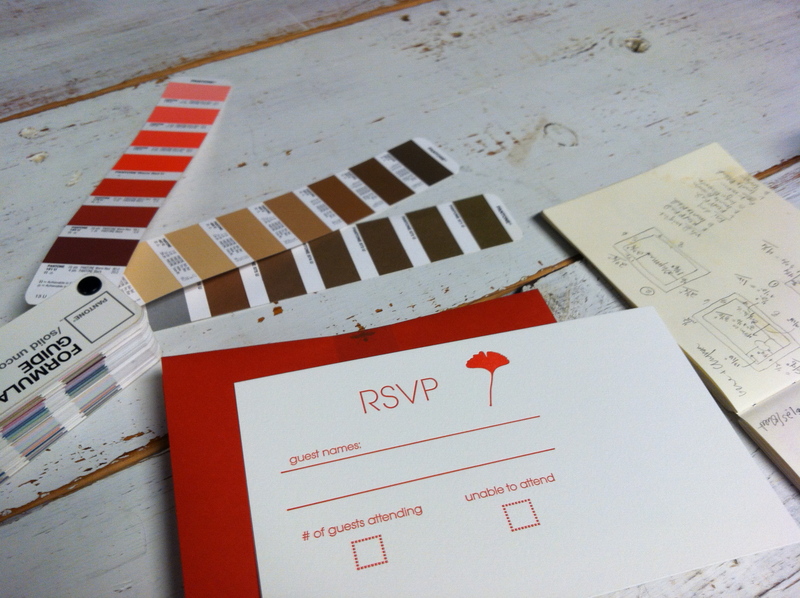 The finished invitation. Gorgeous! 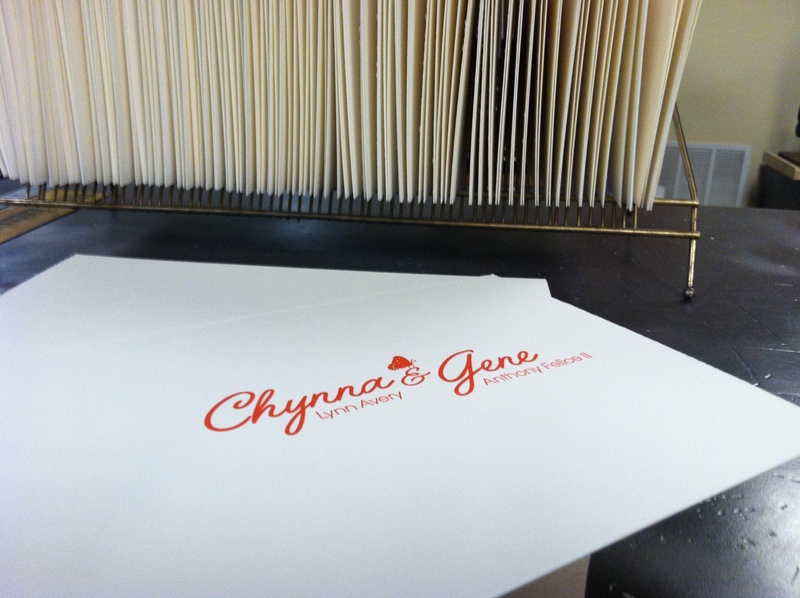 Congratulations Chynna and Gene! 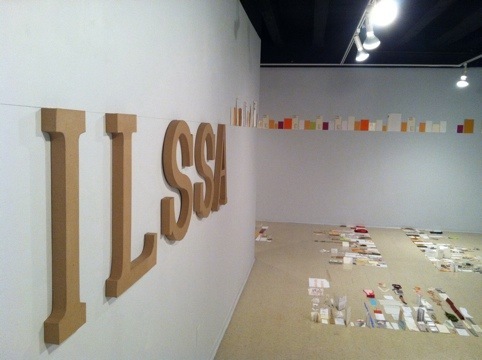 Just finished installing ILSSA’s first exhibition at St. Mary’s College in Indiana. One year of remnants from a dedicated group of ILSSA members. More details soon about the February opening! Hot Off The Press! Or, more aptly, ready to Print-On-Demand! My first official published article in the current issue of Media-N, Journal of the New Media Caucus, an affiliated society of the College Art Association. The article, which was originally a presentation at the 2011 CAA Conference, is entitled, “Open Edition: Free the Book.” The issue can be read on-line and a printed version is available on Lulu. As of January 1st, Flatbed Splendor will be moving into a new studio space in West Asheville with the letterpress likes of Two Step Press and Quill & Arrow Press. More details in the New Year… In the meantime, visit my recently updated Etsy site for Flatbed Splendor goodness!